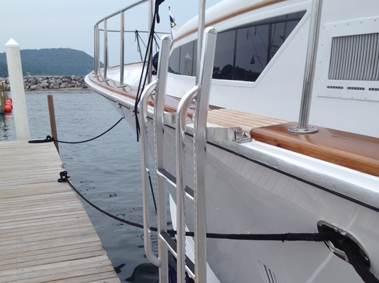 New Wave offers Tide Rider Boarding Ladders for boats of all kinds. 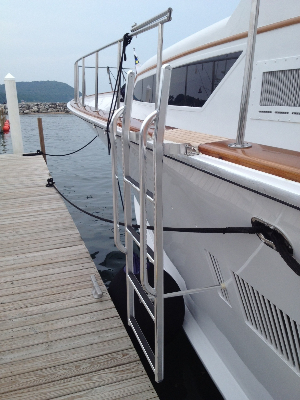 Among the lightest weight ladders in the industry, Tide Rider Ladders are also the most durable, offering safe and stylish boarding in all conditions. 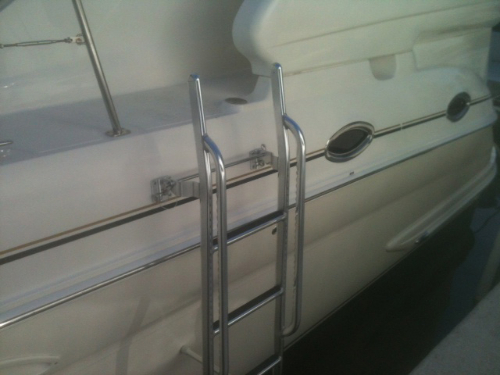 Available in several heights, up to 72 inches, and with 3 to 9 rungs, Tide Rider ladders are a durable and functional addition for your boat. Custom dimensions, configurations and installations may also be available. Just ask your New Wave sales representative for details or custom requirements. 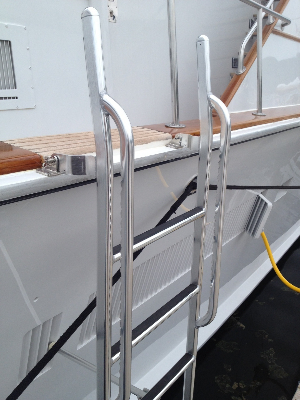 New Wave takes pride in offering boat accessories that enhance the appeal of the boat and Tide Rider Ladders are no exception. 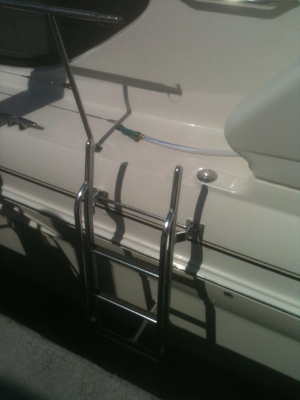 As you can see from the pictures, Tide Rider Ladders can be made to match the original lines of the boat, so even though they are added on aftermarket, they look like original equipment. 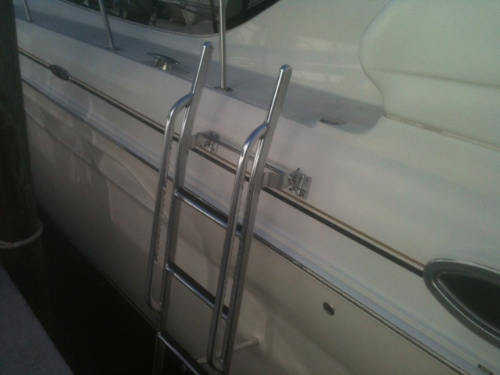 If you take pride in your boat and value safe and reliable operation, get the best boarding and swim ladders, get Tide Rider Ladders from New Wave! Wow : The teak stair we replaced is absolutely first class the teak treads are beautiful. The first time the owner boarded he was impressed at how rigid the stair was compared to our old stair. Great job!